As seen on OvertheMoon.com, see the original article here. 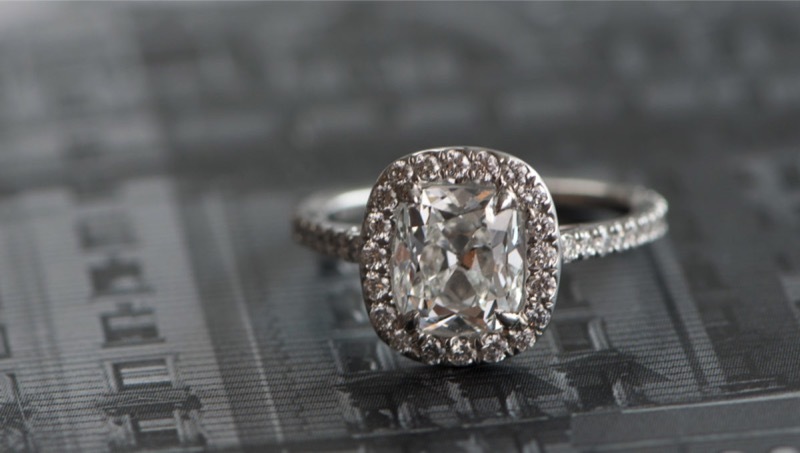 Originally stemming from ancient Egyptian tradition, the process of creating custom engagement rings has been adopted by cultures around the world for thousands of years. Since it’s arguably one of the largest purchases your significant other will make in their lifetime, it only makes sense that both the betrothed-to-be and the one proposing not only love the ring they’re creating, but also feel like they’ve had a significant role in the creative process. Crafting a piece of jewelry that will be beloved over time, and potentially passed down from generation to generation, takes energy, thought, and dedication. 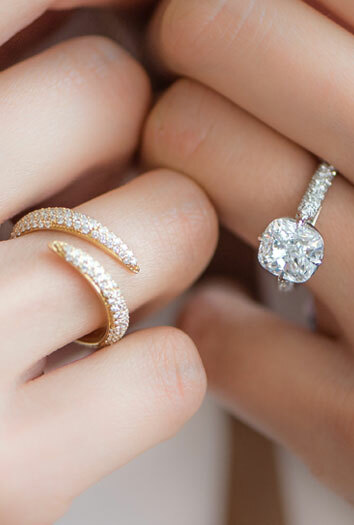 Below, top jewelers provide tips, tricks, and things to know before purchasing a custom engagement ring. It can be a little intimidating depending where you shop, but the best remedy can be trying on as many styles as you possibly can: over budget, under budget, big, small, gold, platinum, all the shapes, etc. “In our boutique, we allow our clients to try a few on at a time to really help contrast what they are seeing. We are asking an object to hold emotion, so there can be a lot of pressure; another boon to trying as much on as possible is if you aren’t sure what you like you can start with what you don’t like, which somehow always comes easier,” says Shah. Shah also recommends trying to find and visit stores with access to natural light and plenty of mirrors. “The best times to look at gemstones and diamonds in particular is between 10:00 A.M. – 2:00 P.M. when the sun is its whitest and brightest,” he notes. “You may have noticed there is very limited natural light in the majority of traditional jewelry stores; most go to great lengths to control their lighting environment, so the jewelry looks as sparkly as possible—sunlight will always give you a more honest look. As for the mirrors, we try to have our brides stop shopping while only looking at their hand, and consider how the ring feels in a full length mirror, since that is how one will be appreciating it as the years go on,” Shah says. Not all jewelry is created equal and unfortunately not all insurance companies are either. “Very few people ask their insurers what happens in the event of a loss when it comes to jewelry until it’s too late,” Shah says. Handmade jewelry is worth more than a casted (CAD) piece, and certain stones are more valuable than others that may look exactly the same. “We have seen situations where an insurance company will try to steer clients to their “retail partners” during a claim to try to get you close to what you had before, which is code for them paying the least amount possible to get you a similar ring. This type of coverage is not what you want. “Make sure you interview your potential insurer, and understand exactly what the steps are in the event of a loss,” Shah warns. See more on Shah & Shah appraisals here and insurance here. As seen on OvertheMoon.com, see the original article here.